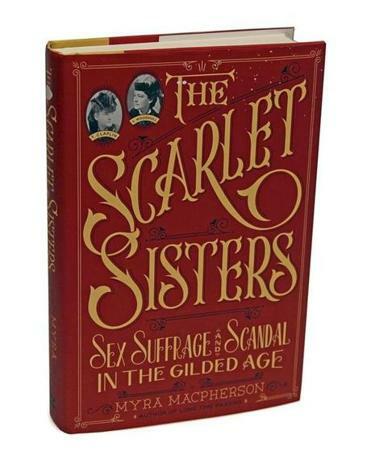 When Victoria Woodhull and Tennessee Claflin arrived on Wall Street in 1870 to open their own brokerage firm — the first owned and operated by women — the groundbreaking event announced the arrival of “the most dazzling and flamboyant sisters in American history.” Self-invented and brilliantly self-promoting, the two young women each sported a gold pen behind one ear; within a few months they launched a second venture, publishing Woodhull & Claflin’s Weekly, a journal that cloaked “radical text in a circumspect format.” There they promoted causes including women’s suffrage and free love, with a few nods to their beloved (and profitable) old occupation, Spiritualism. It began with a demographic mismatch: too many unmarried young women in England, a glut of “eligible, financially secure bachelors” serving the British Empire in India. Thus was born the fishing fleet — thousands of well-born women (some as young as 16) sailing from England to India in search of husbands during the years of the British Raj (1858-1947). For some, it was a return trip — generations of colonizers sent their children to be educated in England — to a beautiful land they loved, but also one in which luxury and hardship co-existed. Courtships amid an endless round of “dances, concerts, polo matches, picnics” gave way to marriage and motherhood in sometimes lonely outposts; fever and other illnesses were epidemic, perhaps unsurprising among expats who clung to familiar ways, including corsets and flannel undergarments in 120-degree heat. Quoting abundantly from letters and diaries, De Courcy vividly sketches the lives lived in this strange limbo, where “[t]o stay English, in a land so alien to English culture, required the cultivation of some of the most English of virtues.” While the book is richly entertaining throughout, one can’t help noticing the glaring absence of Indian voices; they are not heard from, nor (with tiny exceptions) are Eurasians, born of mixed English and Indian parentage to face lifelong proscriptions on their educational, professional, and social status. This sympathy with “the idealism that inspired the best of the Raj,” as the author puts it, limits her ability to address the ugly realities of empire — those experienced not by an aristocratic smart set of Englishwomen, but by the Indians themselves. Ultimately, the book feels like gorgeous wrapping meant to distract from an irredeemably awful gift.